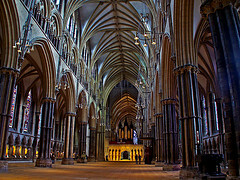 Commissioned by William the Conqueror, Lincoln Cathedral was the tallest building between 1300 and 1549. Despite its spire (which earned it this title) falling down, the Cathedral remains an architectural success and an extremely popular attraction. Its form cuts a magnificent figure against the Lincoln skyline and its Norman and Gothic styles make it a historically fascinating building. For the best Norman aspect of the Cathedral, have a look at the west front. You really get the feeling that it was built as a fortress and the rounded arches of the doorways will take you back in time. This area of the Cathedral feels more like a castle and is really exciting to wander around. The more Gothic elements of Lincoln Cathedral are found at the east end. The stunning stained glass windows and pointed arches ornately transport you back in time. If you want to experience the acoustic brilliance of the Cathedral, the website has a long list of events such as lunchtime concerts and organ recitals. 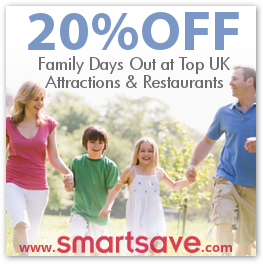 These are extremely popular and well worth attending. Once you’ve witnessed the grandeur of the Cathedral you may have worked up an appetite. The Refectory offers a delicious selection of home-cooked food and cold snacks, as well as refreshing beverages. It is a lovely place to sit and re-fuel. More than 200,000 people every year sample the wonders of Lincoln Cathedral, which is testament to its architectural prowess and fantastic facilities. Opening Times: July and August 7:15am-8pm Monday to Saturday, 7:15am-6pm Sunday. The rest of the year 7:15am-6pm. Open all year round.